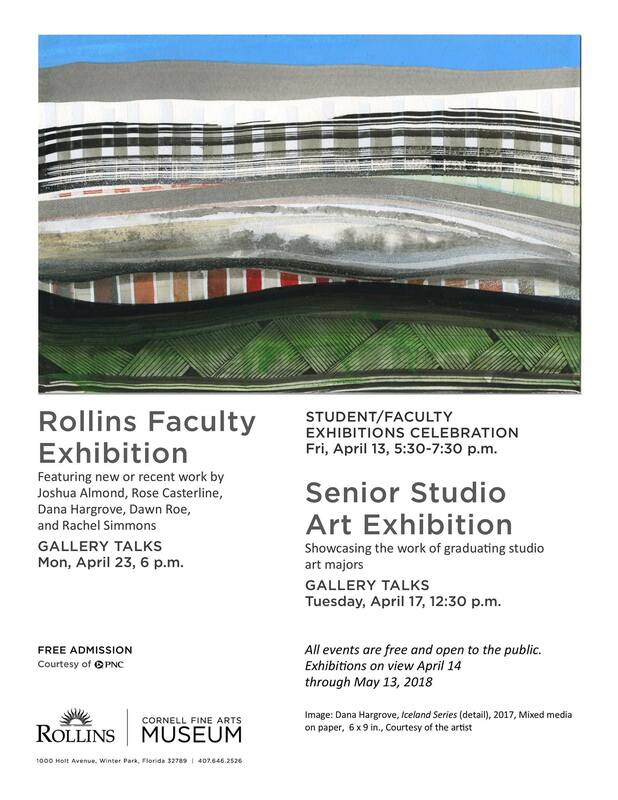 Set on the Rollins College campus overlooking beautiful Lake Virginia, the Cornell Fine Arts Museum is the only teaching museum in the greater Orlando area. Its broad scope holdings of more than 5,000 objects range from antiquity through contemporary and include the only European Old Masters collection in the Orlando area, a sizable American art collection, and the forward-looking Alfond Collection of Contemporary Art. The Alfond Collection is shown both at the museum and at the Alfond Inn a few blocks from campus, a visionary philanthropic boutique hotel whose proceeds help fund student scholarships. For additional information, call 407.646.2526 or visit www.rollins.edu/cfam. “Like” CFAM on Facebook and follow on Instagram@cfamrollins as well as Twitter@cfamrollins. Founded in 1885, Rollins College is Florida’s oldest recognized college. Located in Winter Park, near Orlando, Rollins is consistently ranked as one of the top regional universities in the South by U.S. News & World Report. In addition to full-time undergraduate programs in the College of Arts & Sciences and the College of Professional Studies, Rollins offers undergraduate and graduate degree programs for working adults through its evening program at the Hamilton Holt School and graduate business degree programs through its Crummer Graduate School of Business, which has been ranked a top MBA program by Forbes and Bloomberg BusinessWeek. Rollins serves approximately 3,200 degree-seeking students annually. For more information, visit www.rollins.edu. “Like” Rollins on Facebook and follow on Twitter@RollinsCollege. Free staff-led tours on Saturdays at 1 p.m.
Free staff-led tours on Sundays at 1 p.m.
1st Wednesday of the month at 5:30 p.m.